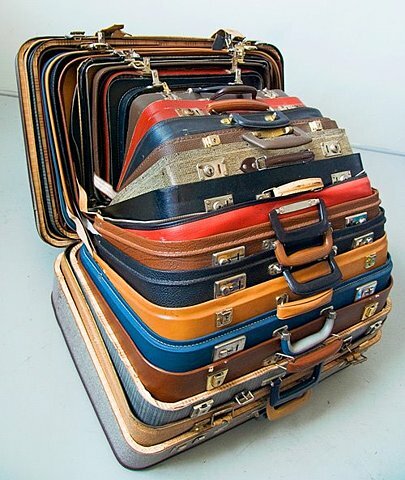 I couldn't resist but to post this image, not exactly practical for weekends away but its definitely the grand master babushka of suitcases. 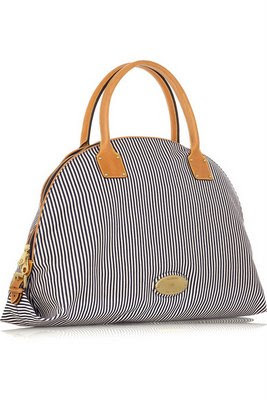 In the spirit of the sun shining today (fingers crossed it lasts a little longer than 3 minutes) i have posted a few summery stripey bags. 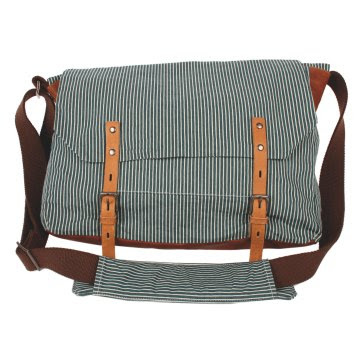 This one lower is a cool casual striped messenger bag by Ally Capellino. I saw it recently in her store on Calvert Avenue on a leafy street in Shoreditch. The store gets top points for being so chic and lovely. You have to check it out. 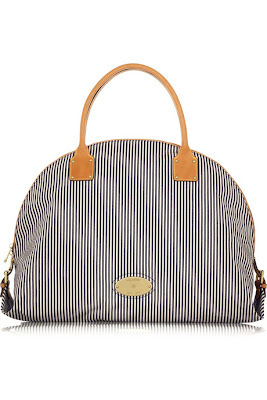 Next is Mulberry's Meygan totes also in a navy stripe with leather trim. The shapes are so simple and elegant and this makes it timeless. It very much reminds me of a trip down to the seaside with the family.. a few kids running around building sand castles and a dog with lots of long fur wreaking havoc to neighbouring parties. Ahhhh sometimes i wonder why i live in london but days like today, i'm feelin the love. I JUST LOVE THIS BAG. 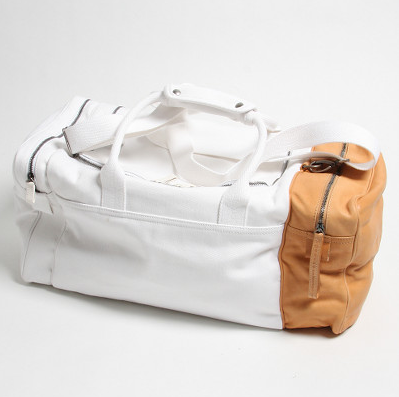 its a Martin Margiela retro sports inspired holdall. With a spectacular material combination and colour blocking, it is so lush that i can't stop looking at it. 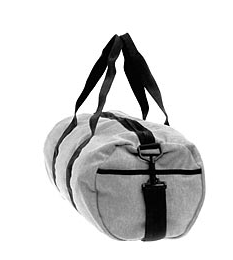 I'm seeing this shape as the new barrel bag. watch out! 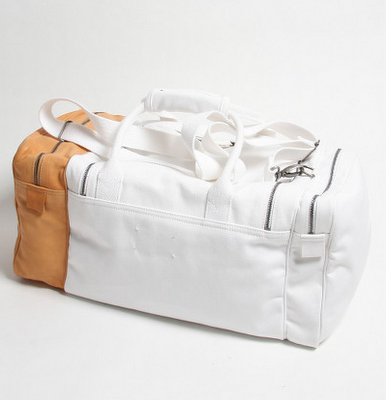 Leather and canvas combination of materials with Margeila's always keen eye for detail and branding. 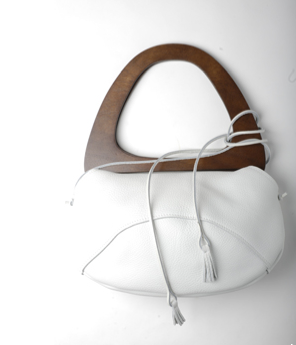 I just discovered by chance this designer - Tannis Hegan who has a range of beautifully simply and elegant accessories, both bags and belts and other bits and pieces. The company is based in Vancouver. 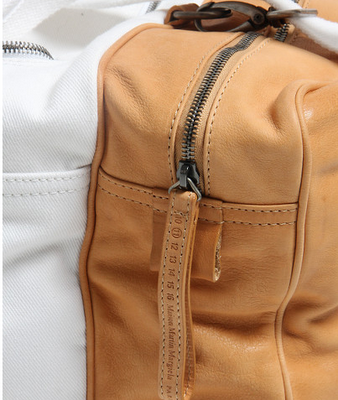 The bags are simple, iconic shapes executed in luxurious but understated materials. There is a real honesty in the simplicity of the shapes and details. 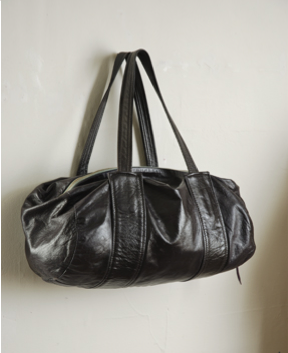 I particularly love the worn looking leather barrel bag. 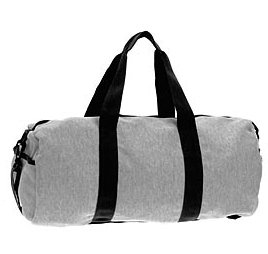 Barrel bags, Barrel bags, Barrel bags, Barrel bags, Barrel bags, Barrel bags, Barrel bags, Barrel bags, Barrel bags. A new discovery of mine is the wide variety of bags available to buy on ASOS.COM its phenomonel, aside from lots of big brands, they also do their own label stuff which is pretty impressive. A sort of fully intergrated american apparel-like aesthetic, they do the basics really well. Check it out. 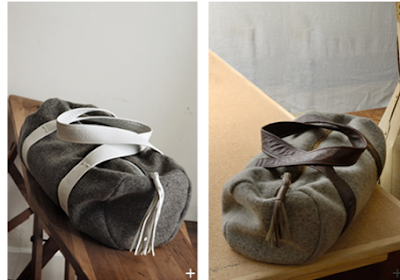 Here are a couple of backpacks that i like. They represent a mix between casual and formal and have distinct fashion styling. 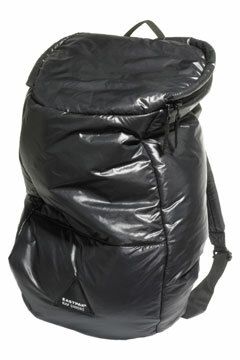 The top one is part of a collaboration between eastpak and Raf Simons. This red one is by Visim. It looks a bit like Marc Jacobs... maybe i'm wrong. I have a bad cold and not really thinking straight. 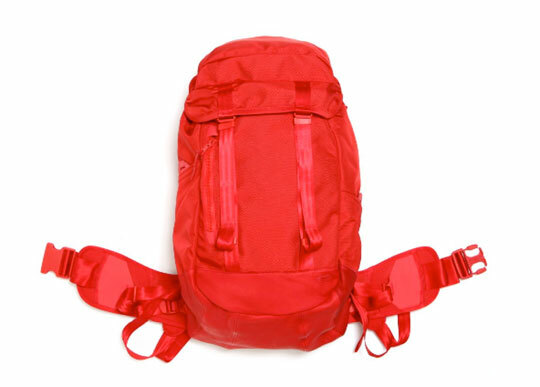 Ahhh love the backpacks!